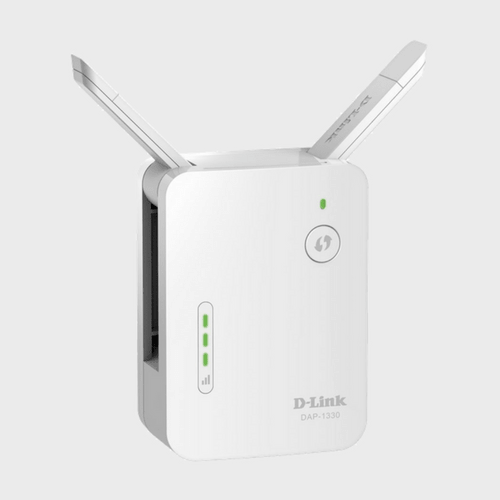 The D-Link DAP-1860 AC2600 Wi-Fi Range Extender delivers the ultimate performance for the most demanding tasks, like 4K video streaming, gaming, and multiple device usage. With a sleek design and wireless speeds of up to 2,532 Mbps, the DAP-1860 will let you enjoy a fast wireless connection. Featuring a 4 x 4 antenna configuration as well as SmartConnect and SmartBeam technology, the DAP-1860 offers better data rates, fewer dead spots, more coverage, and increased reliability. The D-Link DAP-1860 AC2600 Wi-Fi Range Extender delivers the ultimate performance for the most demanding tasks, like 4K video streaming, gaming, and multiple device usage. With a sleek design and wireless speeds of up to 2,532 Mbps, the DAP-1860 will let you enjoy a fast wireless connection. Featuring a 4 x 4 antenna configuration as well as SmartConnect and SmartBeam technology, the DAP-1860 offers better data rates, fewer dead spots, more coverage, and increased reliability. 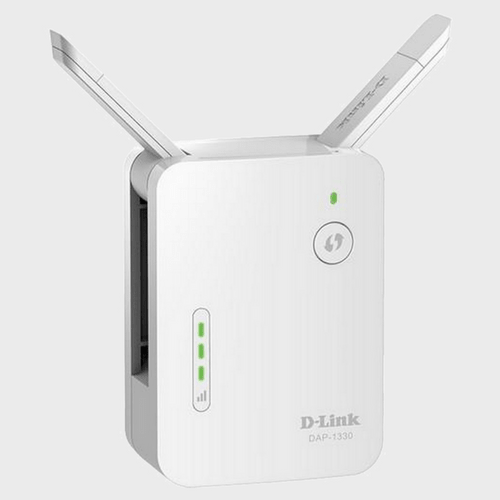 It also includes an Access Point mode that is ideal for homes that are pre-wired for Ethernet or for extended coverage. You’ll extend Wi-Fi coverage throughout your home and even into your backyard, creating a stronger signal in all of those hard-to-reach areas. The DAP-1860 also utilizes MU-MIMO technology, which allows multiple devices to get high-bandwidth Wi-Fi signals at the same time. This distributes data more efficiently, giving you the fastest Wi-Fi speeds and allowing you to stream 4K and HD media faster, transfer large files quickly, and play lag-free gaming. Furthermore, this Wi-Fi range extender’s dual-band technology helps reduce the interference from nearby wireless transmitters in the home and also provides backward compatibility with older wireless devices in your network. For optimal performance and to take full advantage of the latest AC technology, pair the DAP-1860 with the D-Link Ultra Series routers or the AC1900 Wi-Fi USB adapter (DWA-192). The DAP-1860 is easy to install. The one-piece wall plug design is compact, portable, and does not require additional power cables. The Smart Signal Indicator will help you find the best location for placing the DAP-1860 to provide optimal Wi-Fi coverage throughout your home. Use the QRS Mobile app or the built-in setup wizard for simple setup and configuration.